Comic book writer and artist who first rose to prominence in the early 1990s writing for Valiant Comics. He later went on to write for both DC and Marvel comic books, eventually becoming the editor-in-chief and CEO of Marvel Entertainment. His first major comic book addiction was the classic The Amazing Spider-Man. Into adulthood, he majored in illustration at the School of Visual Arts and had abandoned a pursuit of comic books, thinking it childish, until a friend introduced him to Frank Miller's The Dark Knight Returns. In 1992, he co-created the character of Azrael who made his debut in the Batman comic book Batman: Sword of Azrael. He was raised in a Cuban family in Queens New York. His father was a member of the construction crew on Shea Stadium, the home of one of his favorite baseball teams, the New York Mets. He and his wife Nanci have one daughter named Carlie. 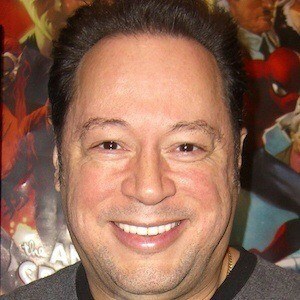 He contributed to the Brian Michael Bendis imprints MAX and Ultimate.